Knicks dismissed coach Jeff Hornacek, league sources tell ESPN. Management informed Hornacek of decision upon returning to New York late tonight. The Knicks season FINALLY ended last night when the beat the Cleveland Cavaliers in a game they SHOULD have LOST. 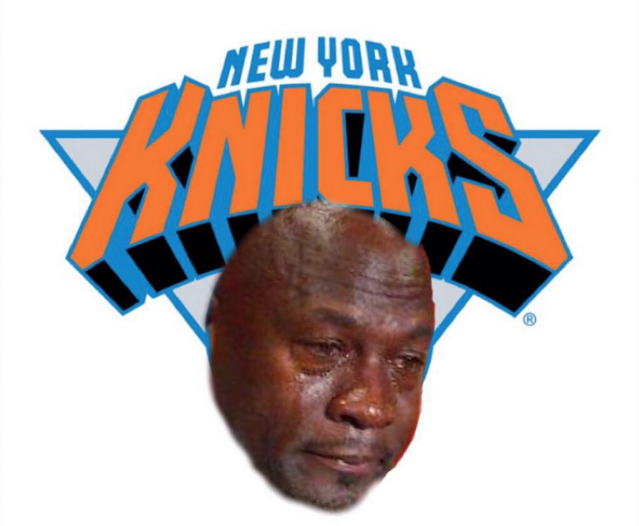 The Knicks finished the season at 29-53, which is one of the WORST positions to finish in. They do not have a BIG chance at the lottery pick nor were they CLOSE to making the Playoffs. After the season ended last night, the Knicks Front Office FIRED the coaching staff as the Knicks turn a new page in their history. The Knicks had some HIGH expectations this season, I thought that they were a FRINGE playoff team with the talent on their roster. They got off to a GOOD start with their YOUNG players but that did not last. STAR Kristaps Porzingis got off to one of the BEST seasons in Franchise History but he COOLED off and so did the Knicks’ success. The young players on the roster started to hit a wall and the season turned into a NIGHTMARE for the Knicks. Porzingis TORE his ACL in February and this season was #DONE. The Knicks won a HANDFUL of games after the injury and they became VANILLA. They had a chance to be really BAD and get a HIGH draft pick, but the Knicks won ENOUGH games to DECREASE their chances of winning the lottery and they are now in PURGATORY this offseason. They are going to get a Top Ten pick and maybe one of the STAR players will slide to them in the draft, but knowing the Knicks’ luck it is IMPOSSIBLE. They are looking at some BIG names for the Head-Coach VACANCY but I would be SHOCKED if they end up with any of them because the Knicks have NO assets that are attractive. Free Agents do NOT want to come and play in the PRESSURE of New York and until they do NOT have TWO or more Superstars, they are NOT going to win a NBA title. The Knicks need SUPERSTARS on their roster, even though I LOVE Porzingis he is not on that TOP level of his game that the Knicks need. They are going to be TERRIBLE next season under the ABSENCE of Porzingis, so maybe they are the WORST team in the NBA next season and they get a HIGH draft pick in 2019. As always, I have NO idea why I am a Knicks fan.